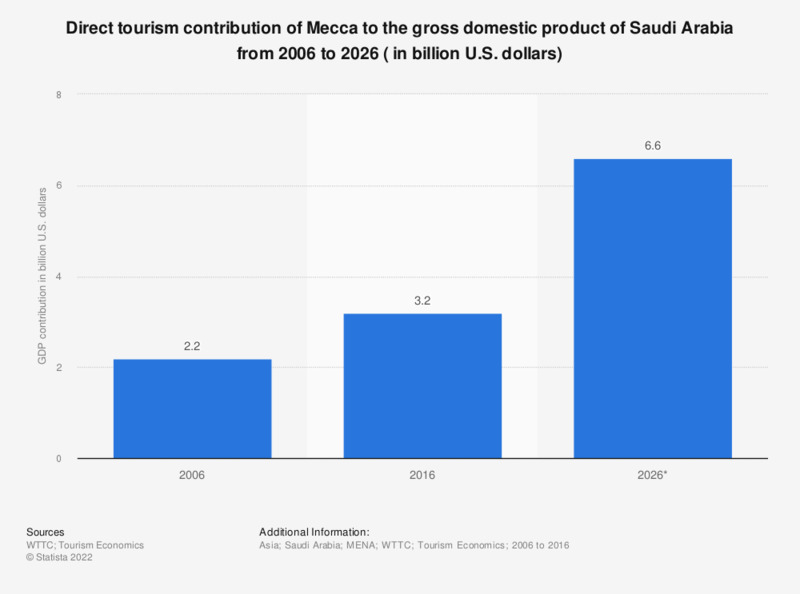 This statistic described the direct tourism contribution of Mecca to the gross domestic product of Saudi Arabia from 2006 to 2016 and a forecast for 2026. The forecast of the direct tourism contribution of Mecca to the GDP of Saudi Arabia for 2026 was approximately 6.6 billion U.S. dollars. Statistics on "Travel and tourism in Japan "